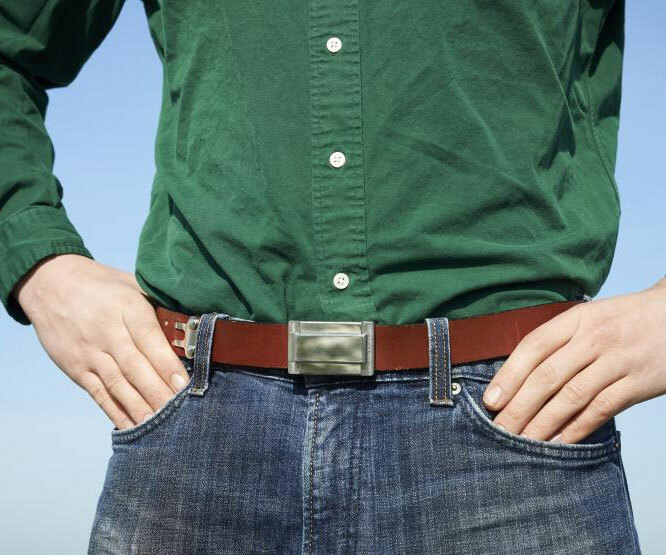 While my sense is that the types of people who would be in the market for a covert, authority-thwarting way to pack a pipe would not be the same types of people who would care to hold their pants up properly, I still consider the Buckle Puffer a breakthrough in thinking outside the proverbial box and sticking it to the proverbial Man. 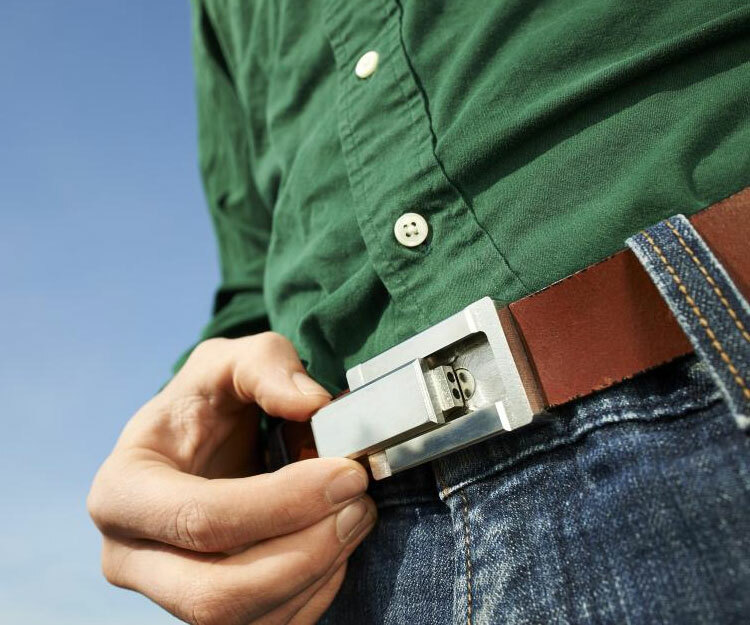 Stylish and stealth, the removable buckle is machined from solid blocks of 6061 aluminum, and then nickel plated in a facility that fabricates materials acceptable to put in your mouth when the clock strikes pufftime. Pipes latch to their accompanying belts magnetically, as well as employ two Neodymium magnets to generate a constant pull and establish a tight, rattle-free seal. To eject the Buckle Puffer from its belt users press a magnetic powered release button whose hold will never wear out. That's good news for my friend Tobias who is both a pothead and OCD, and so will probably end up clicking and unclicking the pipe all day long to satisfy urges deriving from one or the other of his conditions. Precise fit prevents emission of any noticeable odor. Deep reservoir allows for numerous satisfactory inhalations. Double barrel intake allows for more effective individual inhalations. Also, double-barreled things are cool. 100% boilable for easy cleaning. Made in the USA. Like the fine dried leaves you'll smoke from it. Unless you get the really good stuff from British Columbia. They have weed there that smells like blueberries. I used to work with this guy Phil who told me the people he knew who successfully sneaked large amounts of MJ across the border would sign up to be school bus drivers who took children on field trips to Canada and when the kids were at the Butchart Gardens or wherever the drivers would replace all of the original seats in the bus with seats full of a couple years' worth of herbal income. And people say smokers are lazy, unmotivated, and lack critical thinking skills. 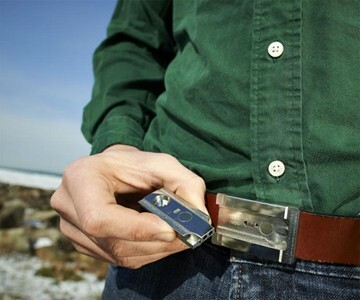 The Buckle Puffer runs as an Indiegogo project through April 29, 2013. December 2013 Update: While Buckle Puffer funding was unsuccessful, its creators are still producing and selling them to the public through the company's Website--follow the link below.